A PunchOut Catalog, more accurately called a PunchOut Website, is a method for a corporate purchasing agent to buy from a supplier's website from within the buyer's own procurement application or hosted eprocurement system. A PunchOut website is a standard ecommerce website with the special ability to communicate directly with a procurement system through cXML and return a pending purchase order back to the buyer so they don't need to enter product information in the procurement system. 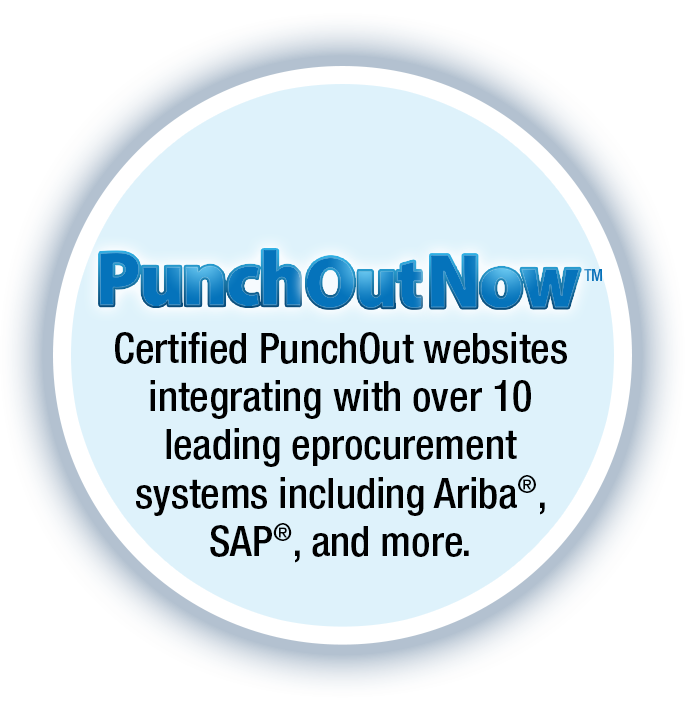 To understand a PunchOut, it's important to understand modern procurement systems and where a PunchOut website fits in the picture. With traditional procurement systems, supplier catalog items would be entered in the procurement system when a purchase order was being created or the item would be located in the procurement system master catalog and added to the purchase order. Over time, procurement systems gained the ability to import supplier catalogs directly into the procurement system. The buying organization, often the purchasing department, had the responsibility to enter the catalog information, convert it from one electronic form to another, and maintain costs. After their founding in 1996, Ariba® introduced the Catalog Interchange Format (CIF); this standardized electronic file format for supplier catalogs eliminated the need for buyers to manually enter item information or convert files from one format to another. Through the CIF standard, suppliers could easily publish catalogs and buyers could easily import them. Instead of focusing on mundane catalog management, purchasing departments could allocate more time on spend management. The Catalog Interchange Format is great for catalogs that infrequently change. If a supplier sells a widget or performs a service that stays the same for a long period of time, a CIF file is the best way to communicate catalogs under 1,000 items. In this global economy with nimble suppliers, mass customization, and commodity pricing, a catalog of static information, fixed pricing, and the inability to customize is a problem. In the consumer world, the solution to a static product catalog, and in many cases its replacement, is the ecommerce website. For a corporate purchasing agent working within a procurement system or hosted eprocurement website, accessing an external supplier website isn't possible. Even if it were possible, there was no standard way to automatically enter the item information from the website into the procurement system. In many cases a static catalog and the inability to exchange information with an ecommerce website reintroduces significant work for the purchasing department. To address this problem, an electronic document interchange standard called the Commerce eXtensible Markup Language (cXML) and PunchOut concept was introduced by the cxml.org industry consortium. Through cXML and the PunchOut mechanism, buyers can access a supplier's PunchOut-enabled ecommerce website, be automatically logged in, search the catalog, configure items, add them to the shopping cart, and return the cart as a pending purchase order back to the procurement system. In short a PunchOut website is a standard ecommerce website with the special ability to communicate directly with a procurement system through cXML and return a pending purchase order back to the buyer so they don't need to enter product information in the procurement system. Where a CIF catalog is static, a PunchOut website is a dynamic product and a service catalog is dynamic platform allowing for current information, product configuration, and real-time price and availability. << Previous: What is a PunchOut Catalog?